Autumn Brilliance Serviceberry This tree is an ‘Idaho Preferred’ Plant. Autumn Brillance Serviceberry is a native shrub in our area. It is a popular ornamental shrub with tasty summer berries and reddish-orange fall color. It can be grown as a shrub or as a small tree. Autumn Brillance Serviceberry likes to be planted in full sun. blossoms before its leaves begin to appear. The white blossoms transform into small green berries that progress from green to red, and eventually to a deep purple in the summer. This is when the fruit is ripe for picking. 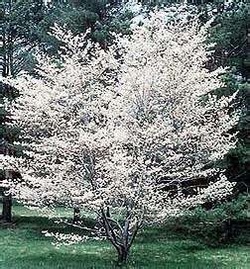 Serviceberry is a shrubby, multi-stemmed plant that will reach heights of 15'-25' feet with an equal spread. It is widely adaptable to a wide range of soils. Serviceberries look like large, dark blueberries and they taste very similar, but have an almond-like accent. They can be eaten raw or used in jams and pies. Native Americans and early settlers used these berries for generations. 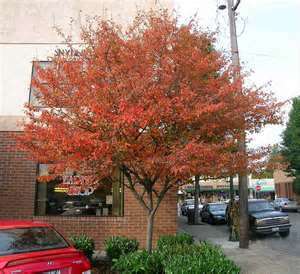 Autumn Brilliance Serviceberry will attract wildlife, birds, is deer resistant, and is a Firewise plant. It is also a native shrub for our area.